Mini breaks are available at Badgers Sett Holiday Cottages (alongside traditional week and two week stays), accomodating guests attending local weddings and events in the area. We are located three miles from St Neot Village, enabling easy access to fantastic local venues such as Trevenna Barns and the renowned Sterts Arts Theatre. Our cottages can be found down a tranquil country lane, surrounded by pretty 1.5 acre gardens which are looking lovely with the leaves turning gorgeous Autumnal shades of red and amber. Wood burning stoves installed inside provide a cosy ambience during the cooler evenings, with spacious interiors enhanced by charming decor throughout. 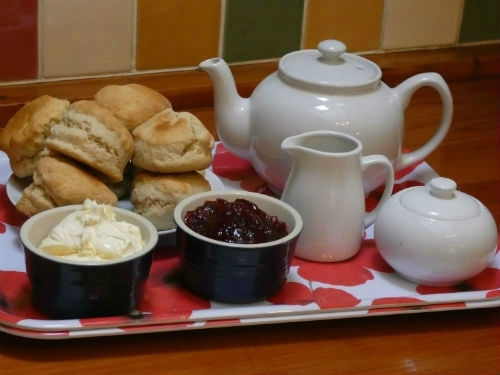 We provide many additional extras which are included within the total price such as all utilities, WiFi (now fast speed broadband), initial basket of logs, towels and a sumptuous Cornish Cream Tea, plus starter packs of coffee, tea and tasty bread. 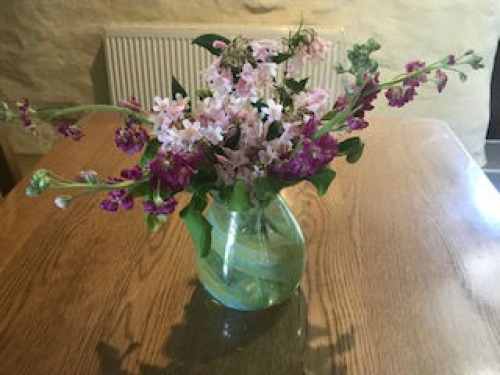 We really do have the best of both worlds here at Badgers Sett, being steeped in beautiful Cornish countryside to the edge of Bodmin Moor and yet conveniently close to major routes such as the A30 and A38, making access to other areas in Cornwall very easy to accomplish and now with fast speed broadband available at the touch of a button you can combine an 'away from it all holiday' with immediate access to modern technology as and when required! Distance from Badgers Sett - Just outside our front gate! For the October Half Term we are currently offering a four night duration for £407 in either Thyme (pet free) or Lavender Cottage (pet friendly). We are now taking bookings for Christmas breaks. The cottages will look beautifully festive with additional treats added to the Welcome Baskets for guests to enjoy whilst staying with us during this special time at Badgers Sett. If you would like to spend a few days away from it all, book your holiday cottage online today or give us a call on 01579 320741.